One of our recent projects was an attempt to duplicate the Neapolitan Pizza that we love so much from Antico Pizza Napoletana. Just a few miles down the road from us, we think it is pretty great pizza, and so does Zagat. We again turned to YouTube, a worthwhile resource when looking for how-to information on something you've never made before, and frankly never even seen made. It was here that we found a link of someone making a pizza at Antico. Between that video and this one, to a lesser degree, we felt we could do it. Also, we did a little research on the ingredients, which it turns out are very simple but very high quality. Before listing them, let me go ahead and say that we took a major short-cut by using store bought pizza dough. We purchased pre-made dough from the pizza counter at Whole Foods rather than tackling what we thought might be a project on its own. We will save the dough making for another day. So, other than the dough, the ingredients are San Marzano tomatoes, mozzarella di bufala (cheese), olive oil, fresh basil, and freshly grated parmesan (cheese). 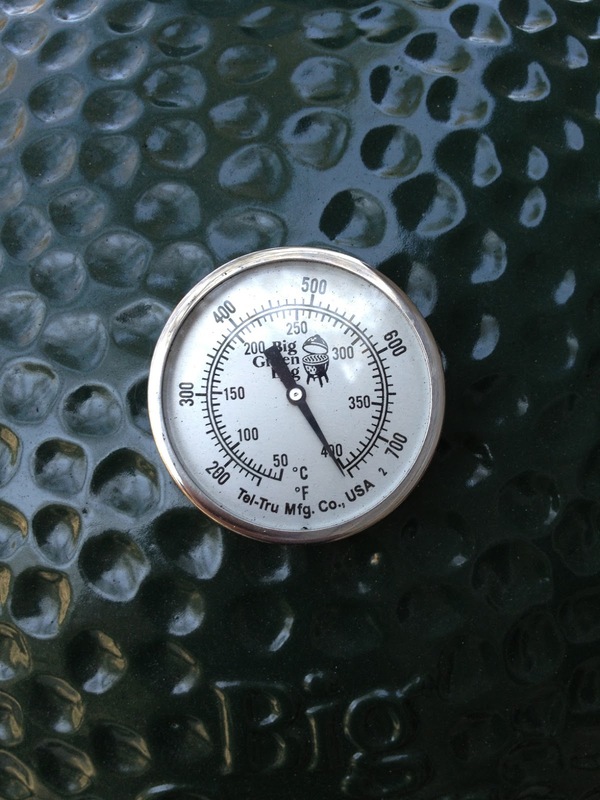 After doing a lot of reading it seemed that a really high grill temperature was key. 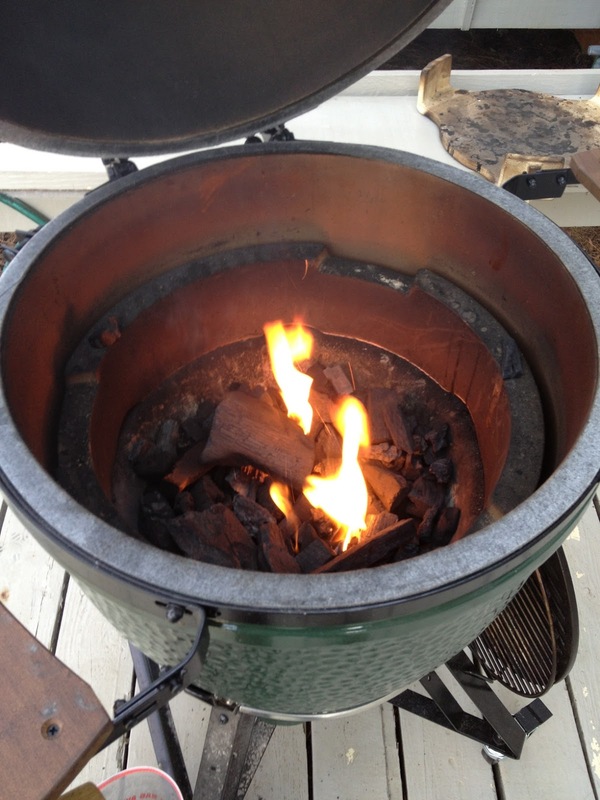 My goal was to get the Egg to 800 degrees before putting on the ready to cook pizza. 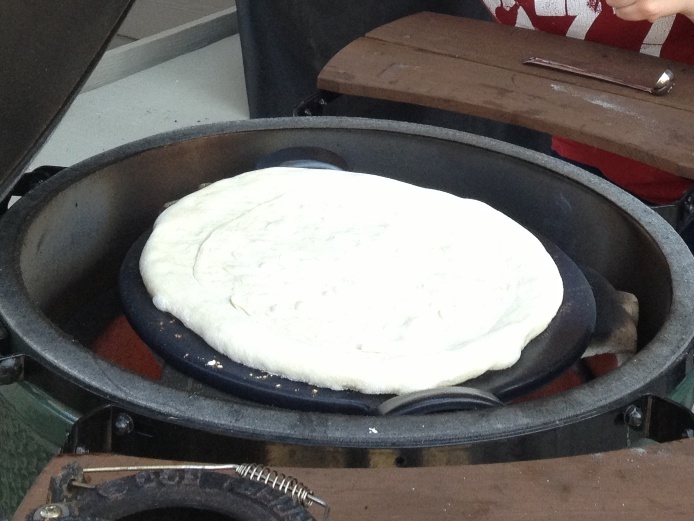 When the Egg was to temperature, we planned to slide the pizza onto a pizza stone that was placed directly on top of the plate setter using a pizza peel, give it a few minutes to cook and then pull it off. I expected the cooking to only take a few minutes. To make the pizzas, we would create an assembly line of pressing out the dough, applying the ingredients and then shuffling it onto the Egg. Then repeat. To get the grill as hot as possible we lit it well ahead of time and let it burn until a lot of the coals were burning and then spread the coals around evenly. We opened the bottom air slot all the way and fully opened the top to allow as much air as possible. As you can see, we were able to get the Egg really, really hot. So hot that we had to take precautions when opening the Egg to make sure the air in-rush didn't cause a flashover. To avoid it, we "burped" the Egg by slightly opening it, waiting a few seconds and then opening it up all the way. Meanwhile, back inside, we were preparing the pizza. 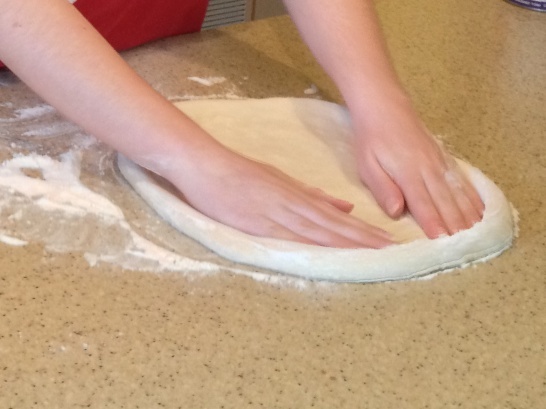 There is not much prep for the ingredients so most of our effort was spent spreading the dough. We decided to get a couple of extra pizza doughs so we could have a few to test on the Egg to make sure we knew what the correct timing was. It turned out that was easier to tell by watching the crust for char. 2. Sprinkle on about a palm full of grated Parmesan. 3. Break off pieces of the bufala and spread it around. We tried to ensure each piece cut from the pizza would have 1-2 pieces of cheese. 4. 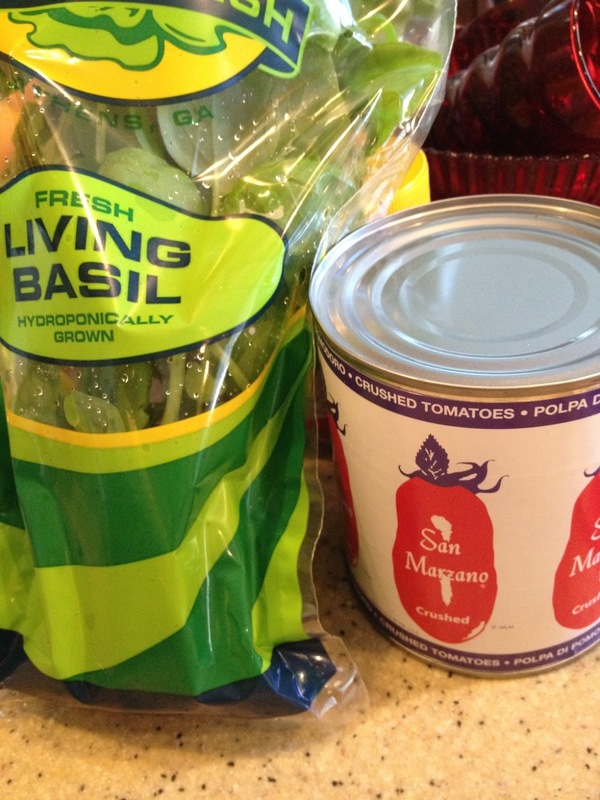 Add a few basil leaves. Again, ensure each piece of pizza will have a bite or two of basil. 5. Using a "Z" pattern, drizzle a little olive oil over the pizza. 6. Dust a little flour onto the peel to make sure you can slide the pizza on and off easily. 7. 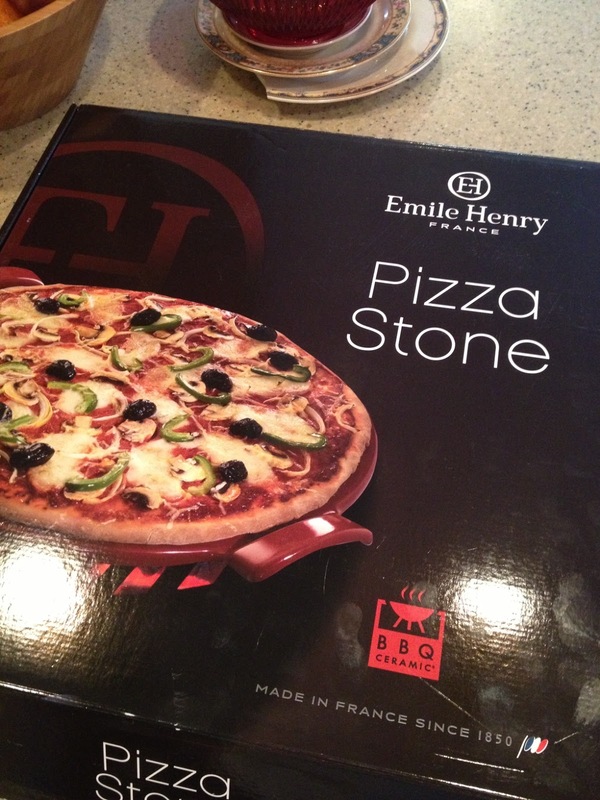 Slide the pizza directly onto the pizza stone, which should be sitting on the plate setter in the Egg. ** If you let the pizza sit on the cutting board or peel for a couple of minutes without shaking it a little, it will begin to stick. So if you're not making the pizza and immediately putting it on the grill, be sure to move the pizza around a little every minute or so to keep it loose. 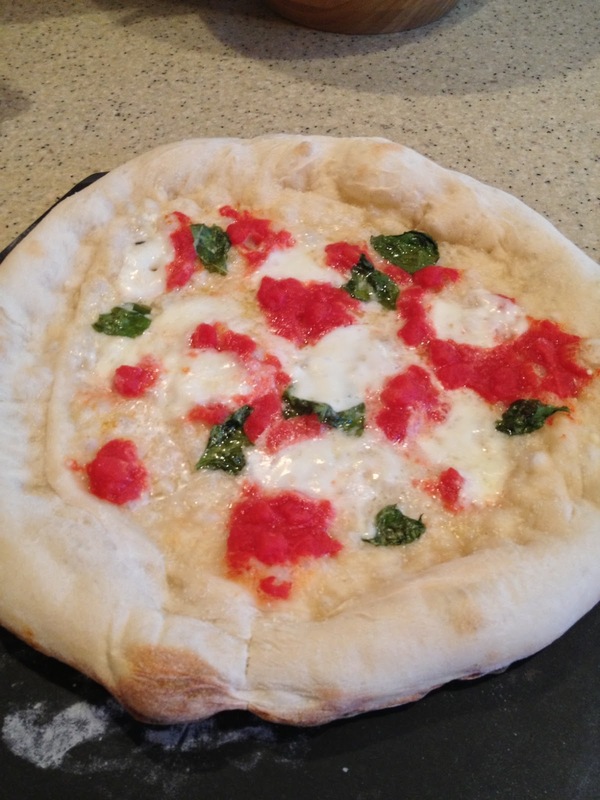 Here is one of the Pizzas. A little sad looking but it tasted great. The all important char. This is what you are looking for. We had a great time. The grill was really difficult to control temp when it was that hot. 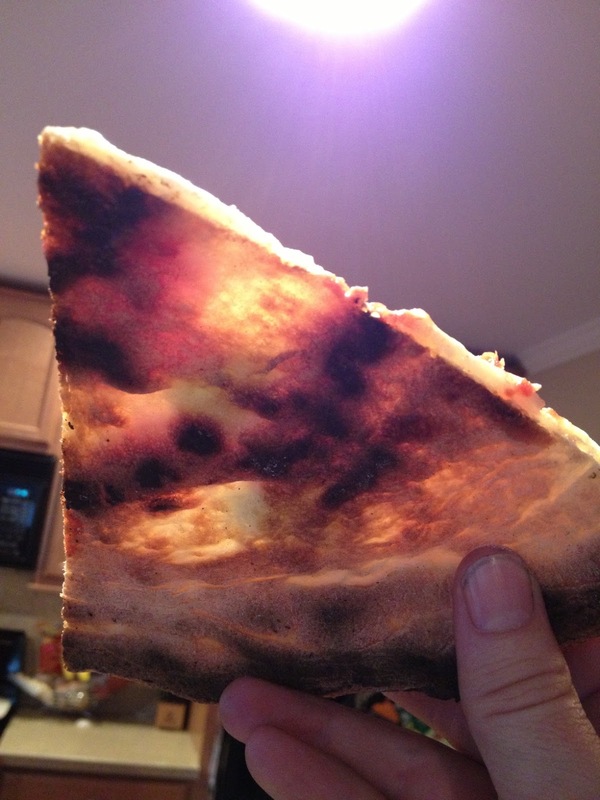 Every time we opened the grill, we lost control of the temperature, and at one point, we had to pull the pizza stone out of the grill and let it cool because it became so hot that it was instantly burning the dough as we continued to cook pizza after pizza. Also, be prepared to make multiple pizzas. You will have enough ingredients to make 5 or more pizzas so be prepared to make them all. Spend some time on getting your proportions right. Some like more sauce, some like no sauce. Be prepared to make several. Eat them immediately. You will want to eat them hot off the grill. It really is delicious. We will try this again, and hopefully we will make them look a little better next time. Overall, we think this was a success. It wasn't as good as we hoped it would be, but it was still amazing. Warm, wood-fired pizza neapolitan is something you should put high on your list.